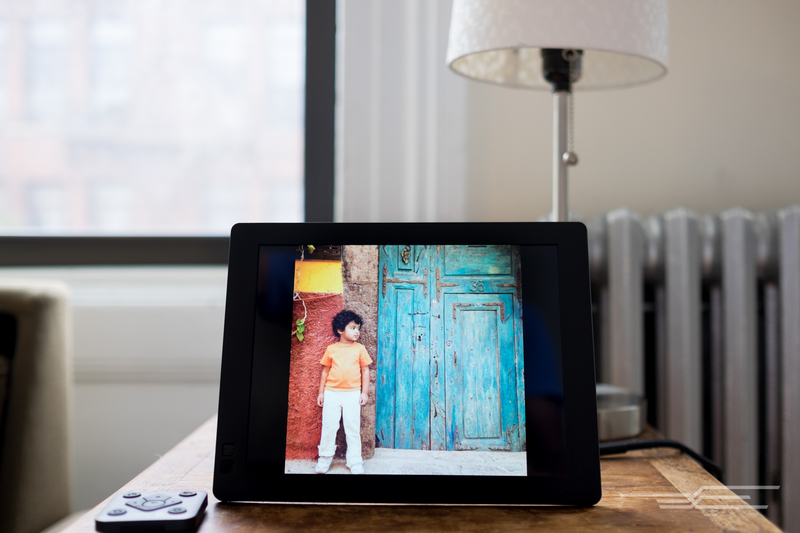 After 18 hours of research and testing, we think the 10-inch Nixplay Seed is the best digital photo frame for most people who want to display pictures uploaded wirelessly from their smartphones, hard drives, or social media and cloud storage accounts. Its superior display and simple setup lift it above the competition, and because you can send photos to the frame via Nixplay's cloud services, email, or a shared Dropbox folder, if you give one as a gift you can share photos directly to your loved ones' frames, even if they're halfway across the world. Using these criteria we had only 10 frames to consider, eight of which we brought in for testing. Onto each frame, we loaded identical sets of images shot on cameras ranging from smartphones to DSLRs. We compared image quality, functionality, and ease of use while working with the frames for several days in various rooms of our tester's home. After 18 hours of research and testing to figure out which features are essential in a digital photo frame, plus hands-on time with eight contenders in a home environment, we think the Nixplay Seed is the best choice for most people. Its 10-inch display produces pleasing color and contrast in a 4:3 aspect ratio that's perfect for smartphone photos. Setup is quick and foolproof, and built-in Wi-Fi lets you import photos from your social media, email, or cloud accounts. And a clever cord/stand design lets you position the frame in either portrait or landscape orientation. We tested the 10-inch version of the Seed (7- and 8-inch models are also available) and found that its IPS display produced pleasingly accurate results along with a wide viewing angle, ensuring that images looked great from every corner of the room. The screen's 4:3 aspect ratio is a perfect match for smartphone (and Micro Four Thirds) camera sensors, which means your images can display across the entire screen. Sensors in DSLRs and many mirrorless cameras have a slightly different 3:2 aspect ratio, so those images will have a black border along two sides. The mismatch is subtle enough, however, that we think some people won't even notice it. In any case, this display is a better fit than what you'd get on a frame with a 16:9 aspect ratio. For more on the Seed's features, check out our full guide. If you can do without the convenience of wirelessly uploading images, Nixplay's Nix Advance will save you a significant bit of cash and still provide all of the other benefits of our top pick. You get the same great screen, motion sensor, and remote, along with easy setup and operation. We tested the 10-inch model, but the Advance also comes in 8-, 12-, 15-, and 18-inch versions (the last has a 16:9 aspect ratio). The lack of Wi-Fi means you'll be loading images via SD card slot or USB port. 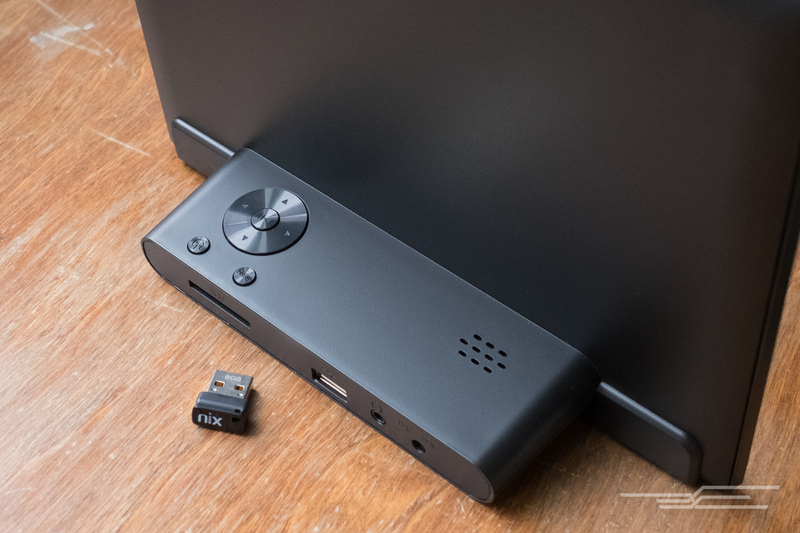 The Advance has no built-in storage like our top and budget picks, but Nixplay helpfully includes an 8 GB USB stick to get you going. If you're a Mac owner, note that you should format SD cards in your camera rather than your computer in order for the Advance to read them, and if you use your own USB stick, it should be in the MS-DOS (FAT) format. 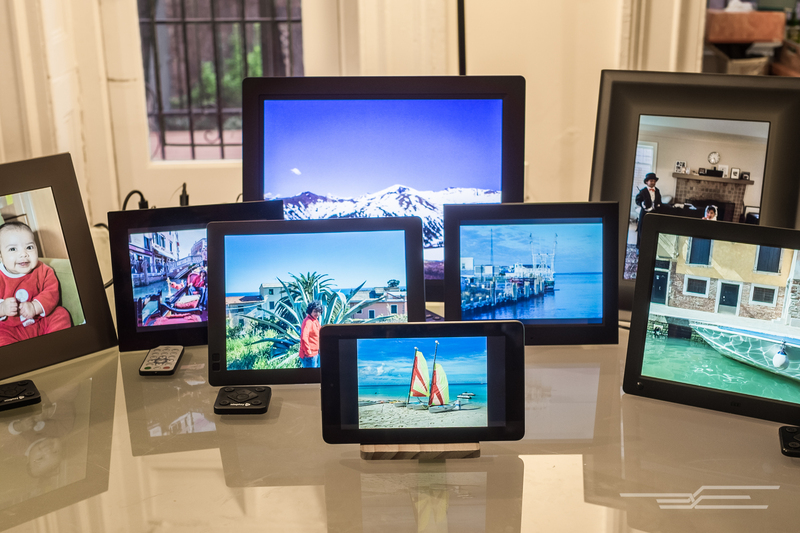 If you own an iOS or Android tablet that isn't getting much use, you already have a capable digital photo frame if you're willing to spend some time sorting through slideshow apps and finding an appropriate stand. We set up a new Amazon Fire tablet—one of the least expensive brand-name tablets you can buy—to see how easy it would be to use as a photo frame. 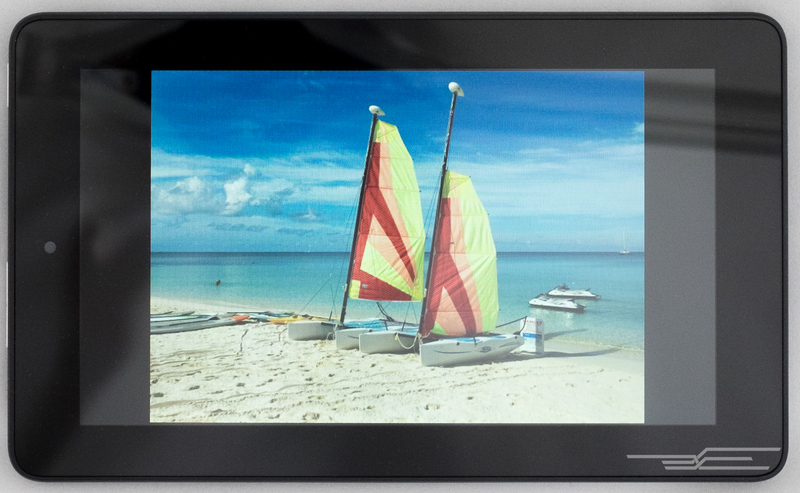 The 16:9 aspect ratio of the Amazon Fire tablet means that none of your photos will fill the frame without significant cropping, instead showing thick black borders on two sides. The Fire also lacks a built-in slideshow function, and Amazon's app store is much more limited than those of Google and Apple. We tried the Amazon app store's two most popular slideshow apps, and after an hour—much of it spent spent trying unsuccessfully to connect either of them to Amazon's Prime Photos cloud storage service—we used a Flickr account and were able to create a basic slideshow. But if you have an old tablet stuffed in a drawer, it's hard to beat free. 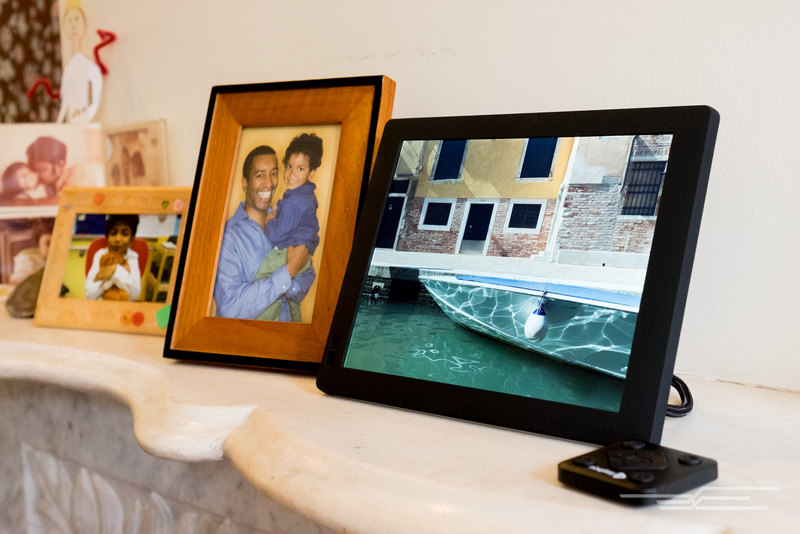 And if you want to use a digital photo frame only occasionally, like for family gatherings around the holidays, the Amazon Fire can be an inexpensive way to pull that off.